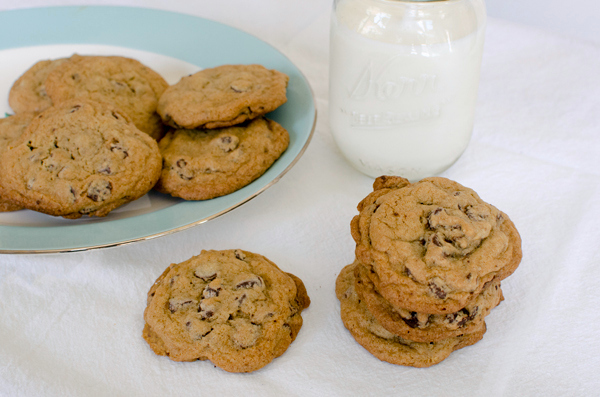 You are here: Home / Recipes / Cookies / Best Chocolate Chip Cookie Recipe Ever! 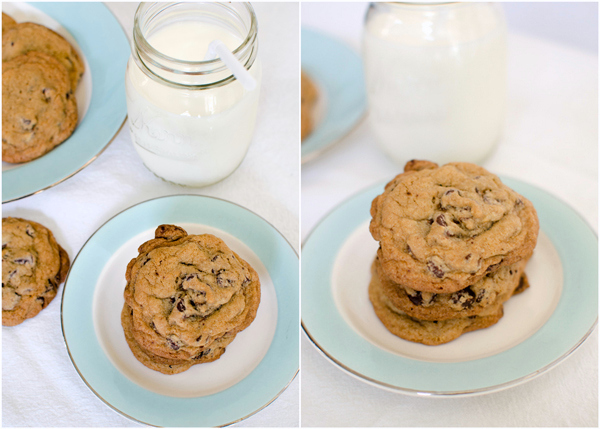 Best Chocolate Chip Cookie Recipe Ever! 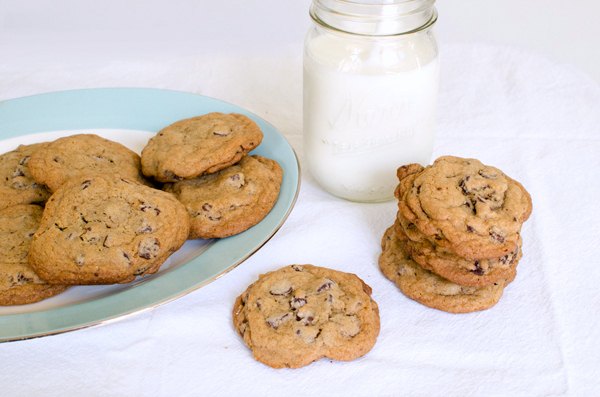 Truly the best chocolate chip cookie recipe ever! They are tasty and delicious with crisp edges and gooey centers. They freeze well too. One of the best things about residency so far is the people I work with. I am so lucky to be surrounded by my fellow new residents who are some of the nicest, smartest and hardest working people I have ever met. It’s an amazing thing to work side by side with someone for 80 hours per week and still want to make happy hour plans after work. In talking to residents in other fields, I know this isn’t always the case. I think working with kids selects for the best people! 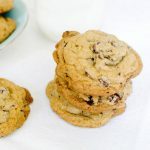 Speaking of the best, I try not to throw around superlatives superfluously (har, har), but these are literally the best chocolate chip cookies I have every had. I first found the recipe on Sweet Paul, but they are actually by Kathleen King, owner of Tate’s Bakeshop. 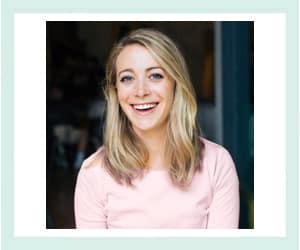 These cookies are so good that Kathleen actually has a whole online business dedicated to shipping them all over the United States! These cookies freeze well, so I made an extra batch to keep on hand when unexpected friends or guests drop by. 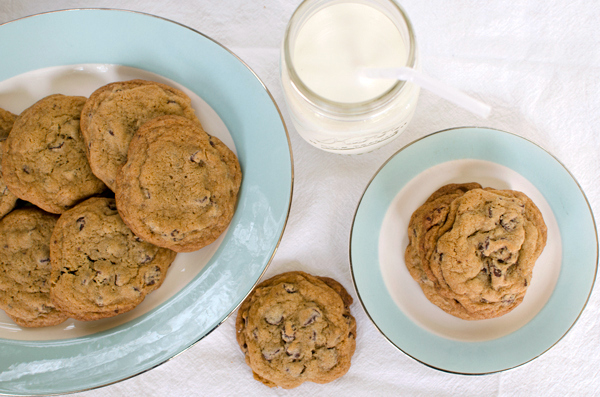 Nothing says ‘welcome home’ like a warm, gooey chocolate chip cookie! Combine the flour, baking soda, and salt and set aside. Beat the brown sugar, butter, granulated sugar and corn syrup on high speed until combined, about 1 minute. Add in the dry ingredients with the mixer on low speed until just combined. Line baking sheets with parchment paper or silicone baking mats. 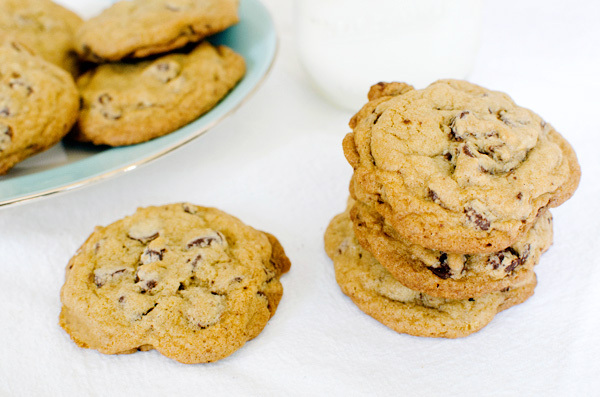 Using 2 tablespoons per cookie, drop the dough about three inches apart. If freezing the cookies, freeze on baking sheets until hard and then transfer to a zip-lock plastic bag. They will be good for about one month. Bake at 350 degrees using racks in the top third or center position of your oven. Rotate the positions of the sheets from top to bottom and front to back halfway through baking, until cookies are lightly browned on the edges, about 18 minutes, or 20 minutes if frozen. Transfer to wire rack and cool completely.